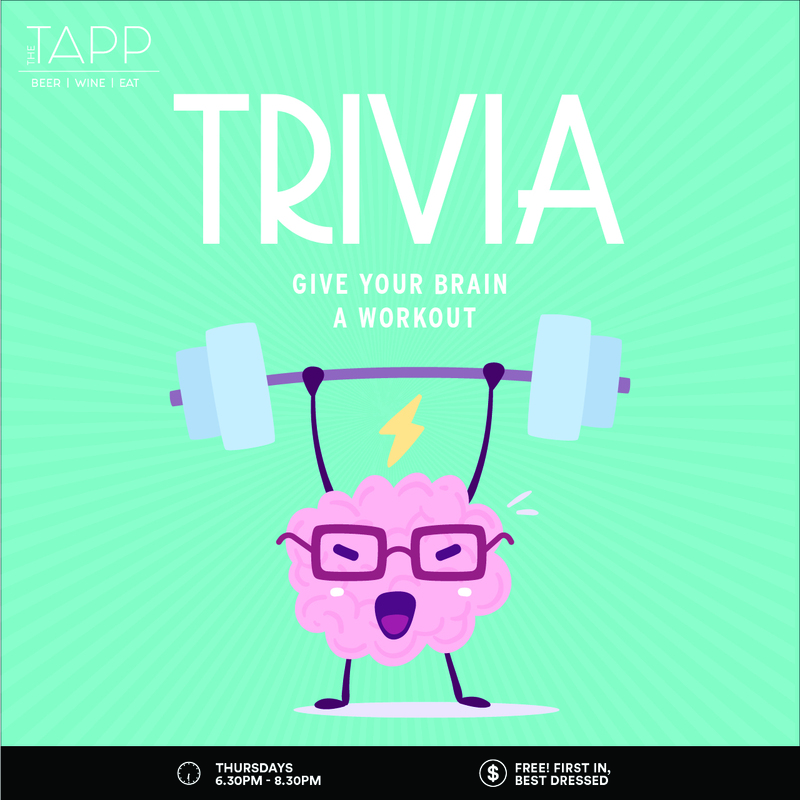 Give your brain a workout at our weekly trivia night! So, you think you’re smart? You think you’re a bit of a general knowledge buff? We challenge you to test your knowledge with us! Held in The TAPP every Thursday 6.30pm-8.30pm! You’ll enjoy a great night out full of laughs and fun. Plus, you might even learn a thing or two as well. So, what are you waiting for, grab your friends and head to The TAPP every Thursday night!